The contamination of large areas of arable land with cadmium (Cd) is a serious concern worldwide and environmentally feasible amendments are necessary to minimize Cd accumulation in cereals such as rice (Oryza sativa L.). 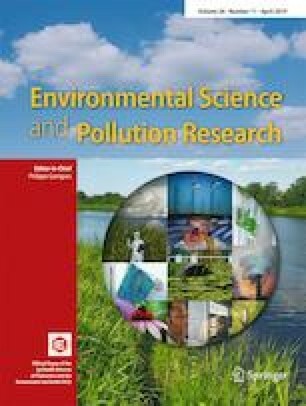 A pot study was, therefore, conducted to evaluate the efficiency of foliar spray of different levels (0, 50, 75, 100 mg/L) of zinc oxide nanoparticles (ZnO NPs) alone or combined with biochar (1.0% w/w) on Cd content in rice plants grown on an aged Cd-polluted soil. The results showed that ZnO NPs alone or combined with biochar improved the biomass and photosynthesis of rice plant. The ZnO NPs significantly diminished the Cd concentration and enhanced the Zn concentrations in shoots and roots either alone or in combination with biochar. Foliar spray of 100 mg/L ZnO NPs significantly diminished the Cd content in rice shoot and rice roots by 30% and 31%, respectively. The Cd concentrations in rice shoot and root diminished by 39% and 38% after 100 mg/L ZnO NPs combined with biochar, respectively. The ZnO NPs in combination with biochar increased the soil pH from 8.03 to 8.23 units. Soil AB-DTPA-extractable Cd significantly reduced with the amendments applied over the control. Foliar spray of ZnO NPs combined with biochar could be used to grow rice plants especially in areas where Cd concentration is high and Zn deficiency is high. Financial support was received from the Government College University, Faisalabad and Higher Education Commission (HEC) of Pakistan under NRPU Project No. 5634/Punjab/NRPU/R&D/HEC/2016. Funding was received from Deanship of Scientific Research at King Saud University to the Research Group number (RG-199).